When you first visit your bank or lender to get information about financing a luxury home in St. Louis, it’s very likely you’ve already completed your own research on the basic requirements. Yet sometimes getting information online can seem a bit overwhelming, resulting in a big dose of info overload. Jumbo loans have their own internal language and being introduced to new terms you’ve perhaps not used much before, if at all. Yet it doesn’t have to be that way. In fact, financing a home with a jumbo loan in St. Louis is much like any other type of home loan. 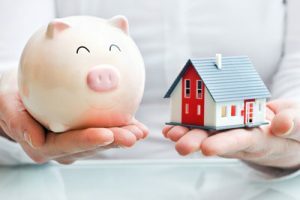 In recent years, jumbo mortgage options have evolved and expanded beyond the common “fix rate-20 percent-down” programs. While most many lenders still require at least 20 percent down, there are new low down payment options allowing you to keep more of your money in your pocket. Jumbo loans will typically require a credit score of 680 but may go lower for home buyers that have a greater down payment. For those borrowers searching for the lowest interest rate available, they can expect to have at least a 20-25 percent down payment with 740+ credit scores. However, real estate isn’t the most liquid investment and more buyers today are seeking to leverage low mortgage rates for the term of their loan. For those who want to put less than 20 percent down, there are programs available with a 10 and even 5% down payment. With a 10 percent down payment, there are three basic options- one single mortgage with mortgage insurance, one without mortgage insurance and an 80-10-10 loan. Most lenders today require mortgage insurance when the mortgage is more than 80 percent of the value of the property financed. This monthly mortgage insurance premium is in addition to the amount for principal and interest, taxes and insurance. Another loan type with 10 percent down is one single mortgage without mortgage insurance. This seems like an obvious choice at first look, why not automatically take the jumbo loan without mortgage insurance? The answer is jumbo loans with just 10 percent down and no mortgage insurance will generally carry a slightly higher interest rate than one with mortgage insurance. Finally, borrowers can take out two mortgages, one representing 80 percent of the sales price and one at 10 percent. This is the 80-10-10 program. This structure avoids mortgage insurance because the first mortgage is at 80 percent of the value utilizing a second mortgage to make up the difference between 10 percent down and the first mortgage amount. This is often the most popular choice depending on the overall loan amount. Another new Jumbo program popular in St. Louis is an 80-15-5. Like the 80-10-10, there are two loans instead of just one. The difference is the second mortgage represents 15 percent of the sales price and 5 percent down instead of 10. Again, this might appear to be the best choice for those wanting to finance a jumbo home with the lowest amount down but the tradeoff is the difference in interest rates between the two programs. Overall, the 80-10-10 will have slightly lower rates on both loans compared to the 80-15-5. 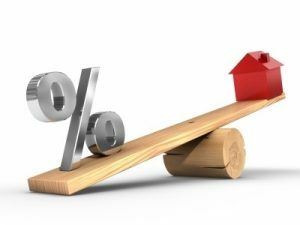 Keep in mind lender interest rates are generally set around risk, lower down payments equal great risk. It really all centers around the total monthly payment after deciding upon how much to put down in a purchase transaction. Your loan officer can provide you with various ways to finance a jumbo purchase but you must first make the decision how much you want to bring to the closing table. Once you’ve decided, it’s all about the monthly payments and how much you will save in interest charges. All the low down payment Jumbo options have individual credit and loan amount limits based on a variety of factors. Home buyers can read the most recent requirements on the Jumbo Purchase Page.